The silence of the night seemed to consume the sound generated by the small outboard motor which gently powered our boat through the still darkness of the lake. Even though it was late at night a fine sweat covered our brows and the warm tropical air was thick with anticipation. Perched at the front of the boat, torch in hand, I eagerly scanned the water for a sign. An army of flying insects was making an all-out assault on my eyes, nostrils and mouth, attracted to the powerful yellow beam of light. Small microbats swooped and darted around the boat feasting on the abundant insects. Then I saw it. A golden sparkle of light about 100 metres ahead of the boat, glistening in the water amongst some low overhanging branches. “I’ve got some eye shine straight ahead!” I called too loudly, completely forgetting that we were trying to be as quiet as possible. “I see it mate” replied Bob who, despite having done this hundreds of times before, seemed just as excited as I was. Bob gently steered the boat towards the eye shine and as we approached he switched the motor off completely. The boat glided silently towards the bank as we peered into the water with our torches. 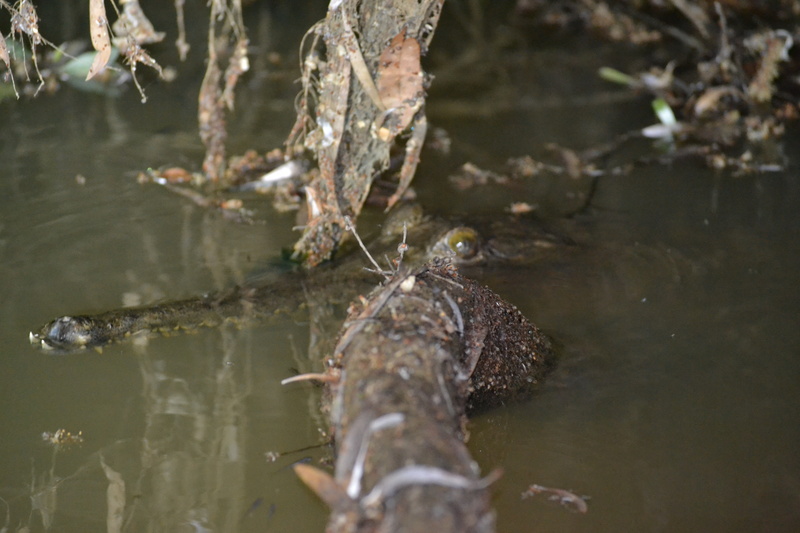 There, resting in the shallows, hidden amongst some leafy branches metres away, was a Freshwater Crocodile. Although I have worked with reptiles, including crocodiles, for much of my life, this was the first wild crocodile I had ever seen in Australia. The little guy, probably only around 60 centre metres in total length, calmly floated right in front of us seemingly unfazed by our presence. Suddenly, like a flash of lightening, he thrashed his head to the side catching a small fish that had swum past. Not only was this croc completely comfortable with us watching him, he was also happy enough to continue feeding. “Ah, so pretty. Such a pretty little kid aren’t you” said Bob speaking to the little croc in total awe and adoration. We sat quietly watching the croc feed for a few more minutes before continuing our spotlighting on the lake and sighting many more crocs that night. 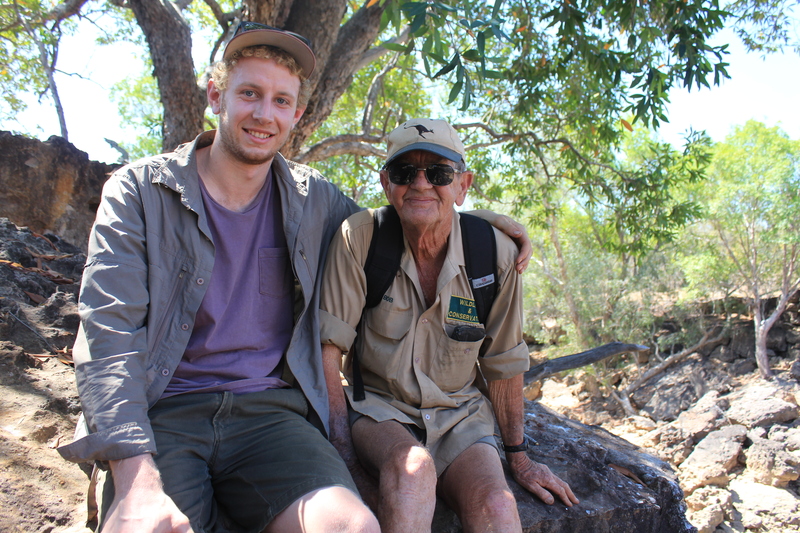 Seeing my first wild crocodile and sharing this special moment with Bob Irwin, the father of conservation in Australia, is something that I will truly cherish for the rest of my life. Bob together with his son, Steve Irwin, have educated and inspired millions of people around the world and changed the conservation movement forever. I could only dream of what exciting adventures would unfold in the week ahead. 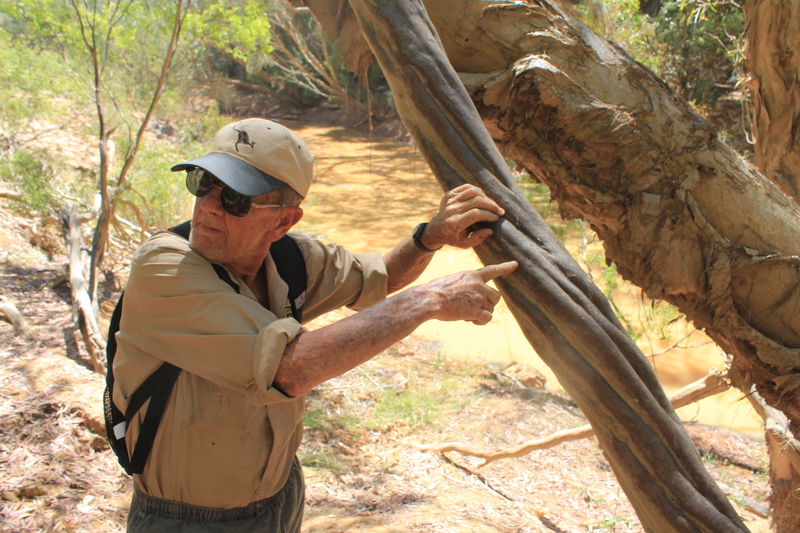 Having just turned 75 years old and showing no signs of slowing down his life’s work, Bob had gathered a team of 8 passionate and dedicated conservationists from across Australia to come together and plan an important new research project. The group was comprised of a number of ex Australia Zoo staff, including some incredibly talented guys who worked on crocodile research and relocation programs back in the early days with both Bob and Steve. Other members of the team included experts in environmental planning, water management and project coordination. I was totally thrilled to be invited along as a member of the crew by Bob. It was very exciting to work alongside so many driven and knowledgeable people and the group meshed together seamlessly from day one. 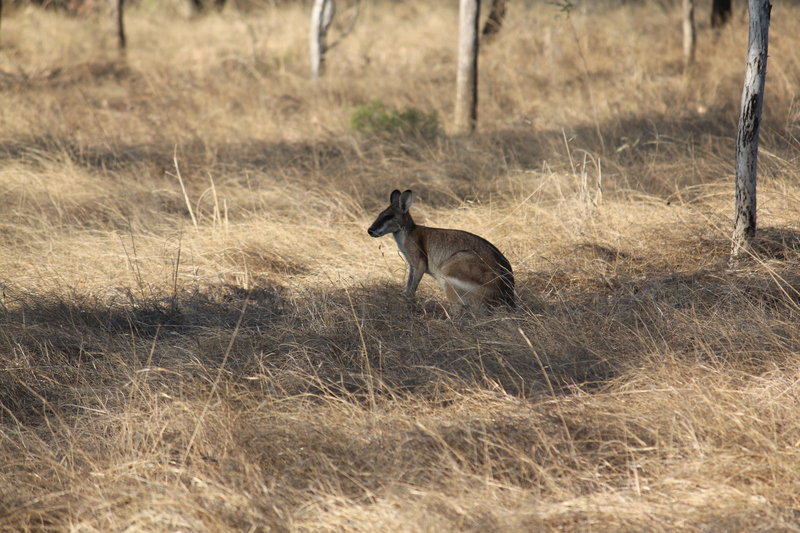 We travelled to Far North Queensland to a remote part of Cape York which Bob had been granted special permission to access. The aim of the trip was to investigate the area, assess the ecosystems and habitats and plan a long-term research and conservation project for the wildlife inhabiting the area, in particular crocodiles. 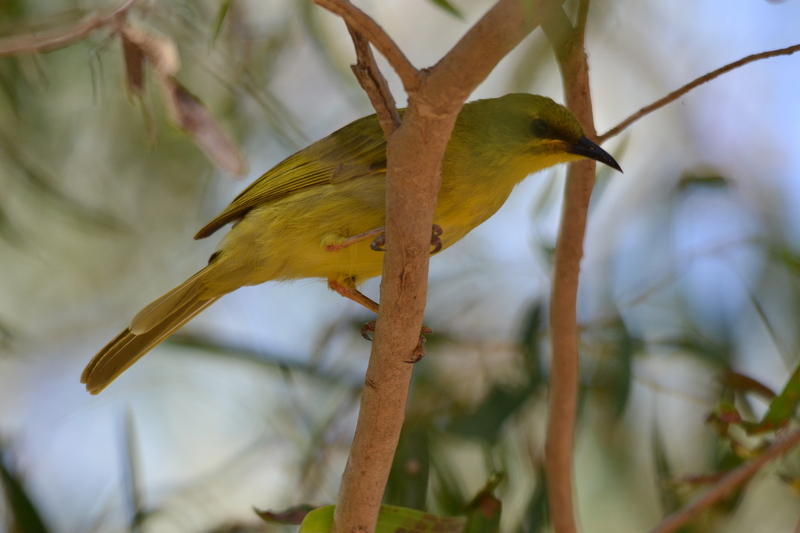 During the 10 day trip a total of 130 species of wildlife were identified including many birds, reptiles, amphibians, mammals and fish. 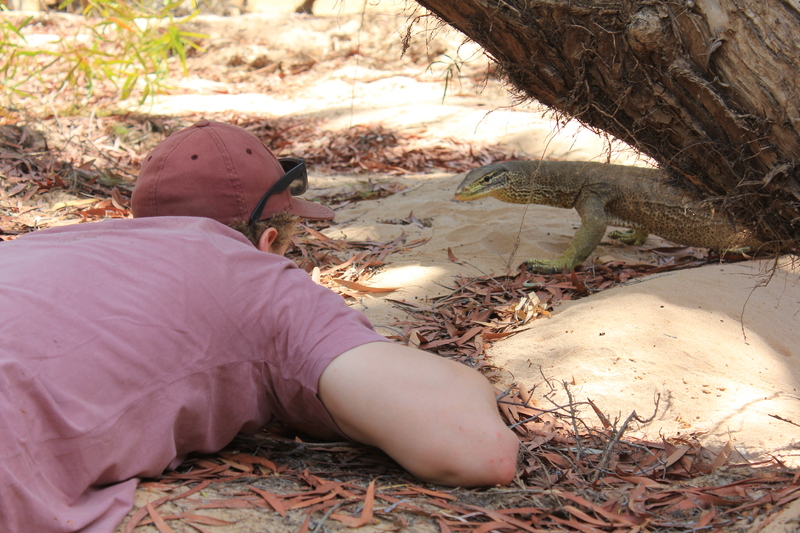 For me, having a soft spot for all things scaly, it was truly a reptilian paradise! 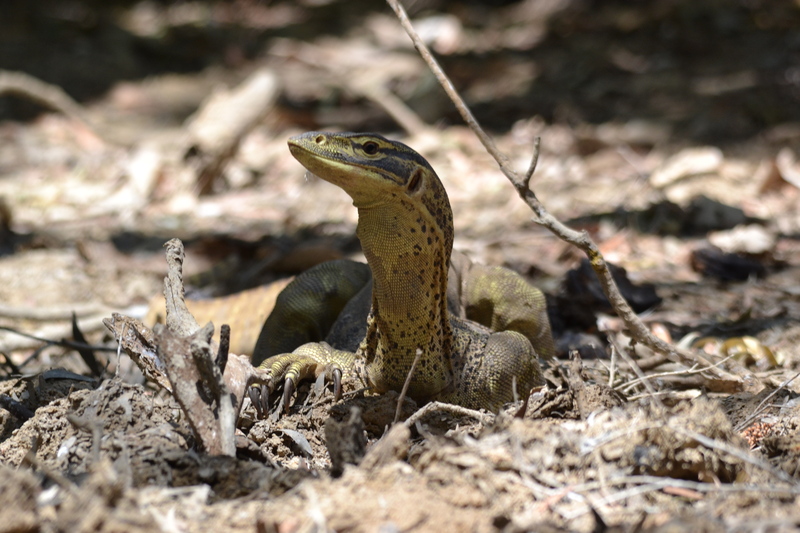 We were fortunate enough to see a Black Headed Python, Stimson’s Pythons, a Coastal Carpet Python, Brown Tree Snakes, Northern Tree Snakes, Keelbacks, a Burton’s Legless Lizard, Yellow Spotted Monitors, Ring Tail Gecko’s, Bynoes Gecko’s and an assortment of small skink and frog species. 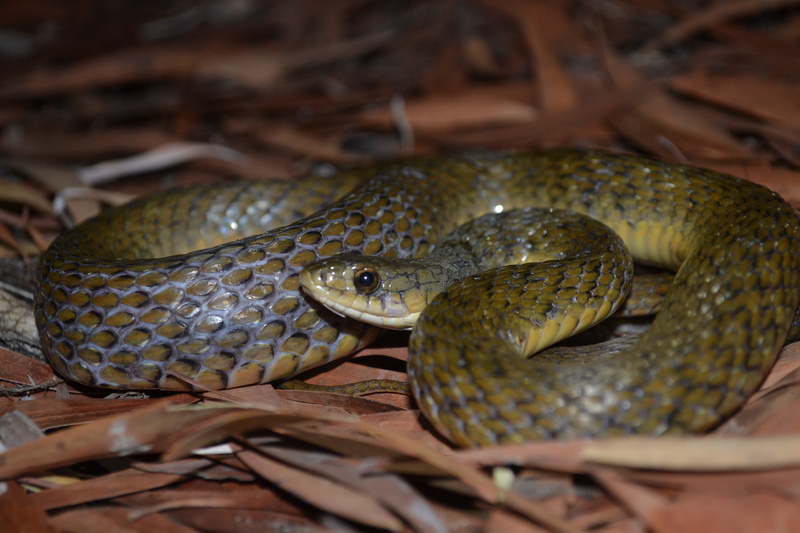 One of our most memorable reptile encounters occurred late one afternoon when I came across a Common Tree Snake who darted through the leaf litter away from me and entered a small pool of brown, murky water. I watched the tree snake swim across the shallow puddle. 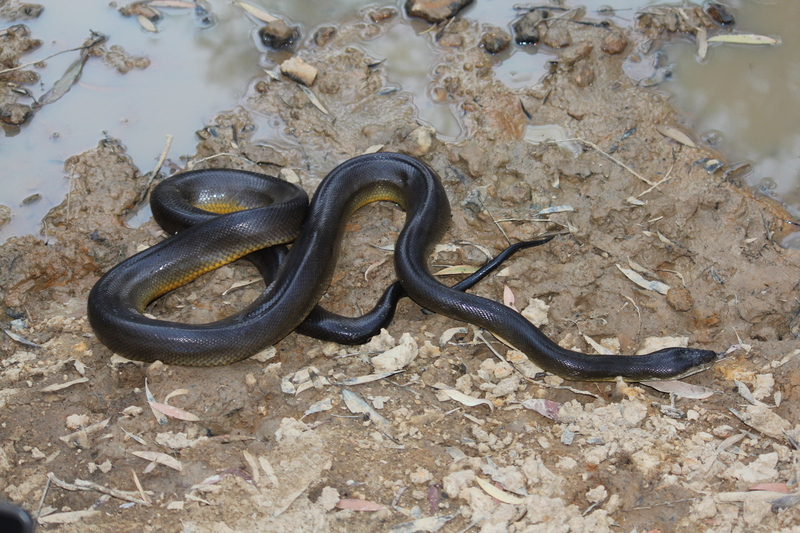 Just as it reached the other side, there was a sudden explosion of water as the tree snake was snatched and promptly wrapped up by a large Water Python who had been hidden beneath the dirty water. It was like watching a David Attenborough documentary right before my very eyes. After a short struggle, the tree snake managed to free itself from the Water Python’s coils and hastily took off into the nearest tree while the Water Python retreated back to her watery ambush position. I also remember late one evening sitting around in camp chairs chatting with Bob when one of the boys yelled “snake!” Despite being 53 years my senior, Bob literally flew out of his chair and sprinted through the darkness, dodging tree stumps and clumps of grass towards where the voice had called from. 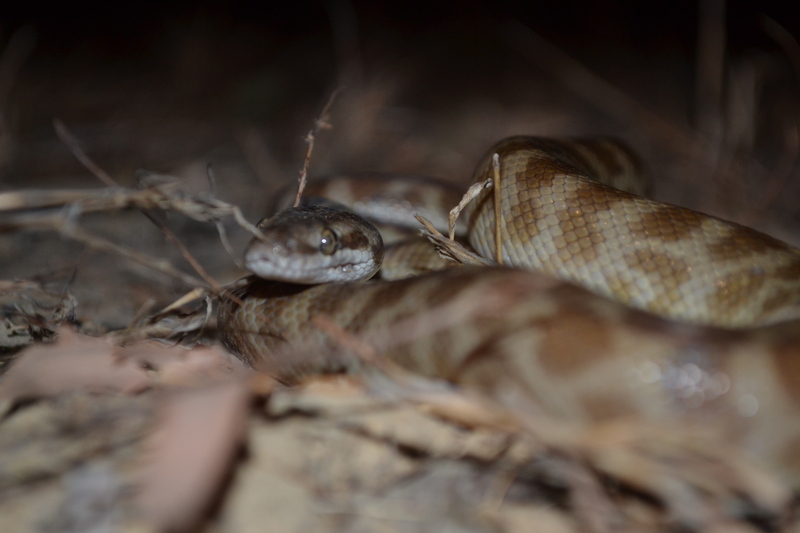 There, sitting in the middle of a patch of dirt was a gorgeous Stimson’s Python. 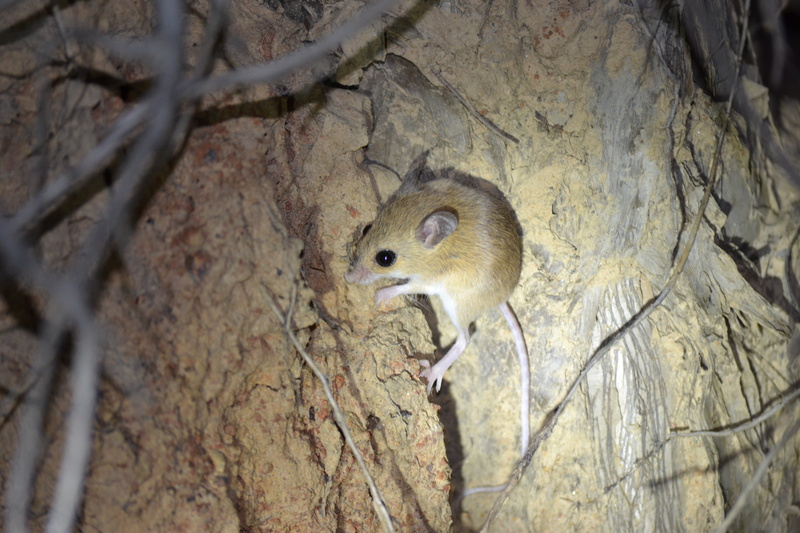 We went out spotlighting each night and on one occasion came across a small sandy-yellow coloured native mouse which we later identified as a Delicate Mouse. Bob lay down on his stomach and gazed curiously at the little mouse for a very long time. It was honestly love at first sight and Bob didn’t stop talking about “his” little delicate mouse for the rest of the week. Bob’s genuine excitement and love for all creatures, great or small, is truly infectious. Watching Bob that evening left me in no doubt as to how Steve developed such a deep love and understanding for all wildlife. 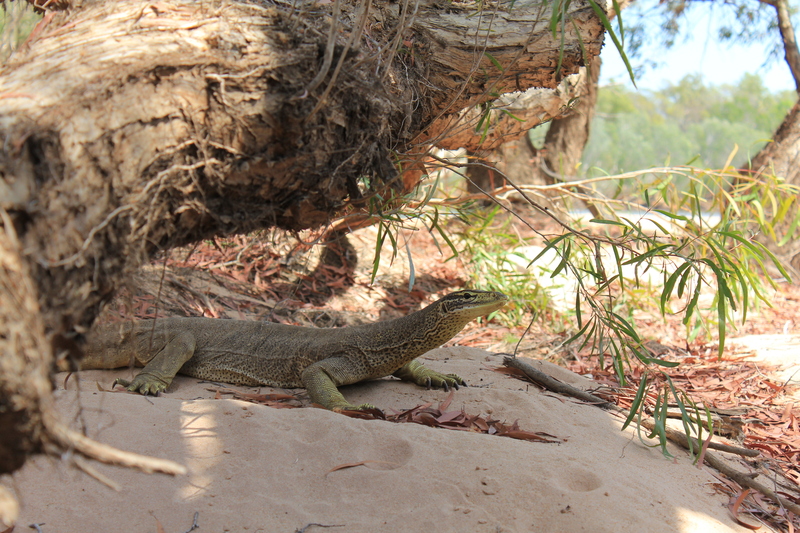 One afternoon whilst we were escaping the 40 degree heat in some shade by the river, a big old Yellow Spotted Monitor wandered out of some nearby bushes and came right up to Bob and I to say hello. He was in very poor condition and Bob recalled seeing the same monitor at that spot the previous year. The old boy had no fear of us at all and came right up and even licked me on the face! During the trip we camped at two separate locations, both next to large bodies of water. These waterways were brimming with Freshwater Crocodiles ranging in size from small yearling’s through to large adults. It was a relief to see such an abundance of crocodiles living safely in an ecosystem untouched by man’s destructive ways. Unfortunately, however, we did see some evidence that Freshwater Crocodile nests were being predated on by feral pigs. Although we didn’t see any Saltwater Crocodiles, we saw tracks and slide marks from at least two large (12-14ft) Saltwater Crocs who were inhabiting the river system. Like so many millions of people around the world I grew up watching Steve Irwin on television. Seeing Steve’s commitment, dedication and the positive impact his work had for wildlife and the environment played an enormously influential role in shaping the way I wanted to spend my life. Steve’s passion was nurtured, fuelled and supported by his father. “My Dad, just the legend of the universe. When I was the tiniest little kid, I’d look up at my Dad and he was larger than life. He was just like this action hero. He was everything I wanted to be. And all I’ve done in my life is follow in his footsteps, mimic him and try and be him. Nowadays, I just try to make him proud, mate.” -Steve Irwin. 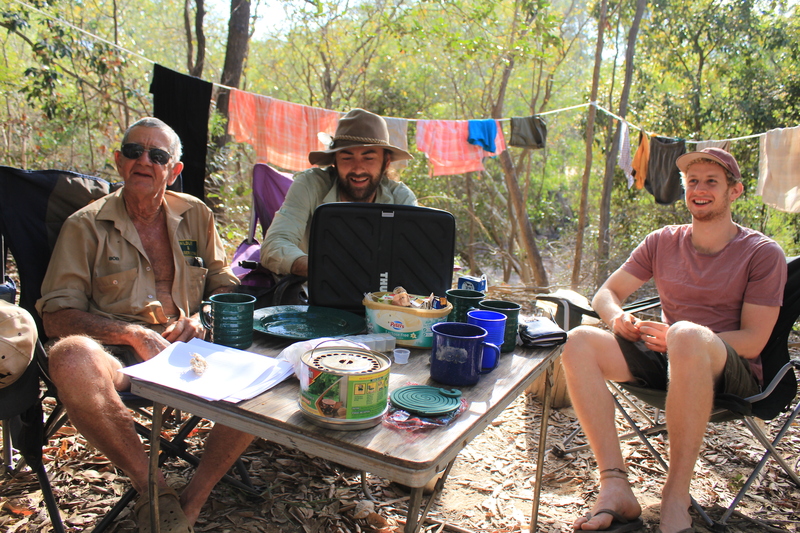 It is difficult to find the words to describe just how incredible my short time in the bush with Bob was. What I do know is that it was a rare privilege and honour to learn from him, to be in his presence and to see his world first hand. I feel very fortunate and am committed to supporting Bob in continuing his and Steve’s work now and into the future. On one of the last nights of the trip, a small group of us accompanied Bob to a sandy flat perched high upon a hill overlooking the river. We lay together watching the stars and in that moment I knew Steve would be immensely proud of his father and his tireless efforts to continue to protect the wildlife we share this planet with. There is much work to be done in the coming weeks, months and years in order to secure this project into the future. However with such a dedicated and passionate team of individuals led by Bob, there are certain to be some very exciting prospects for the conservation of our Australian wildlife on the horizon. It is our job now as young people to learn from pioneers like Bob and to step up to protect the world that our children will inherit. All photo’s by Amanda French and Greg Johnstone and remain the property of the Bob Irwin Wildlife & Conservation Foundation Inc.